That’s what it says on this poster, I photographeds at Blackburn station on Saturday. Full words on the poster are. Certainly one young guy I spoke to, said it would change his travelling for the better. Looking at the online timetable gives a few clues. The current Manchester Victoria to Clitheroe service continues. 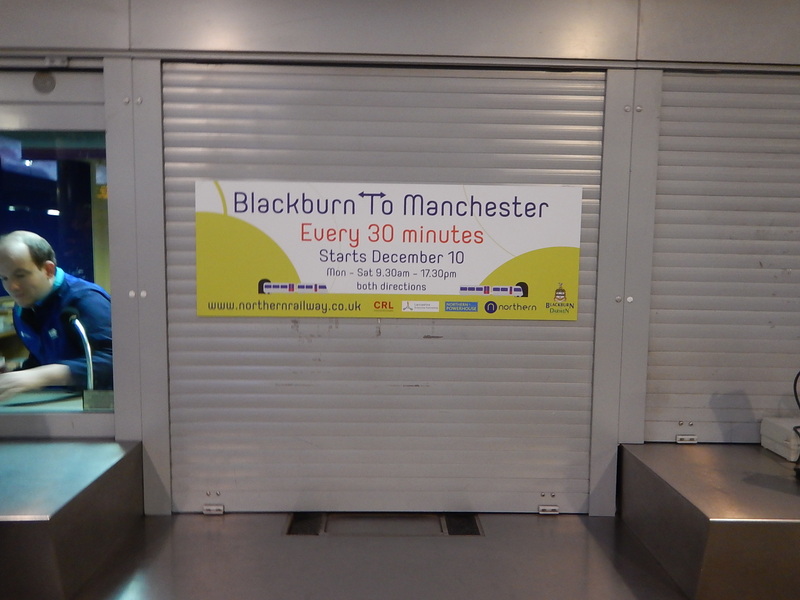 The current Manchester Victoria to Blackburn service via Todmorden continues. The second service in each hour uses the Bay Platform 3 at Blackburn. Some services seem to be Stalybridge to Blackburn via Manchester Victoria. As Stalybridge to Preston and Blackpool via Bolton will be electrified soon, could it be that Northern are gearing up to have an electrified core route with diesel branches, that would be ideal for Class 769 trains. Four-car Class 769 trains could replace pairs of Class 150 and Class 156 trains. The trains have a respectable top speed in both electric and diesel mode. The pantograph can be raised and lowered as appropriate. The trains have a Universal Access Toilet and meet all the Persons of Restricted Mobility Access rules. If more electrification is added, the trains will take advantage. Could we see the upgrade between Manchester and Blackburn on December 10th, implemented using Class 769 trains? News on the Class 769 trains has been very sparse lately. According to a technical specification that I’ve seen, four of the Class 769 trains are planned to be in service by December 2017. So is everything going to plan or has it all gone pear-shaped? What trains turn up on December the 10th will be useful information! On my way back from a weekend in Bristol. Should be taking a Cross Country service via Leeds but because of strike action have had to take a bus replacement to Newport (wrong direction) and am now on an Arriva Trains Wales service to Manchester! I got engineering work coming back to London from Hull last night! We did a rou7nd tour of Lincolnshire!